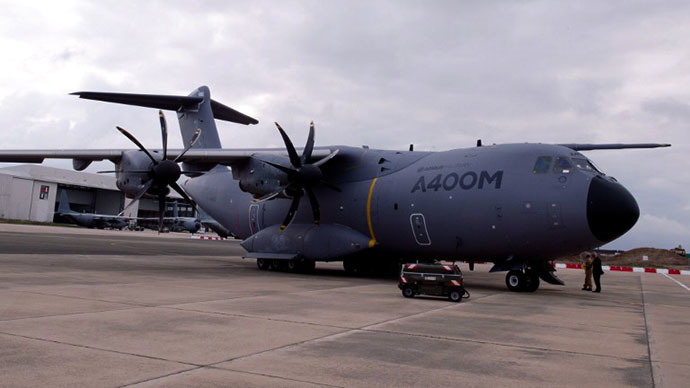 European aircraft manufacturer Airbus delivered its first A400M military transport plane to France on Monday, after over a decade of delays and massive cost overruns. 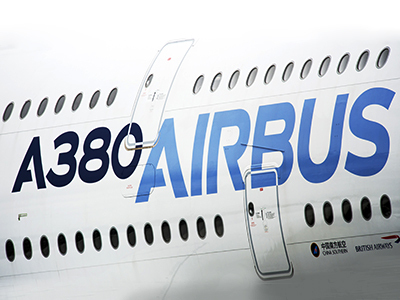 The handover ceremony occurred at the Airbus Military plant in Seville, Spain. Manufacturers are set to export about 400 A400M planes over the next 30 years. "It is an extremely high performance aircraft and I am quite proud that France is number one for delivery," French Defence Minister Jean-Yves Le Drian said at the ceremony, as quoted by AFP. The multi-task airlifter has propellers more than five meters (16 feet) long, is equipped with four turboprops, and can transport up to 37 tons - including armor and helicopters - for over 3,300 kilometers (2,050 miles). It is also designed to land on unprepared terrain, such as sand. Yet the success of one of the most ambitious European military projects to date is not yet certain. Le Drian said France’s planned total order of 50 A400M aircraft is on hold, as the French parliament is debating its 2014-2019 supply program. France had previously agreed to take 35 planes up front but is taking 15 planes for now, the minister said, though final orders have not changed. France will likely have to negotiate a downsized schedule with Airbus to avoid penalties, as the company’s parent corporation, European aerospace corporation EADS, is concerned that a downsized order from France could lead to other top European nations following suit. The A400M - originally conceived following the 1991 Gulf War and in production for the past ten years - has seven partners: Belgium, Britain, France, Germany, Luxembourg, Spain, and Turkey. The Airbus project was delayed a total of four years and has gone 6.2 billion euros (US$8.3bn) over budget - a 30 percent overrun. It is the only plane to challenge Lockheed Martin’s 50-year-old C-130 Hercules, which in comparison has less carrying capacity at 20 tons. The A400M’s other competition, the C-17 Globemaster, will exit from production in 2015, according to its manufacturer Boeing. "It will transform the way military operations work," Ian Elliott, vice-president of Airbus Military, told AFP. "I have flown about six or seven times and it's fantastic," he said, adding that the cabin is modeled after the Airbus double-decker superjumbo A380. France and Turkey are scheduled to receive the next two A400M deliveries, and over 170 more have been ordered to go out in the next several years. Germany has ordered 53, France 50, Spain 27, and Britain 22. 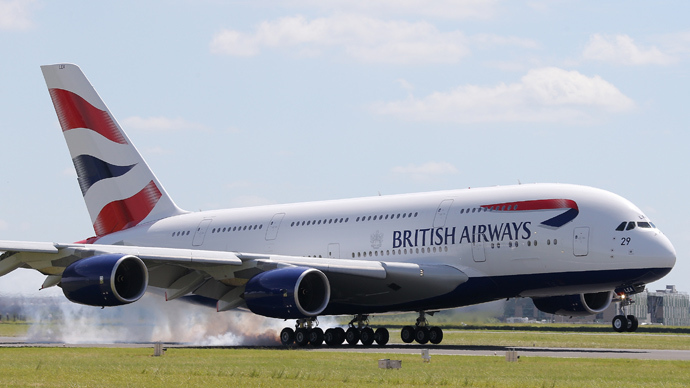 Airbus will assemble 10 planes next year, and then about 30 per year, AFP reported. 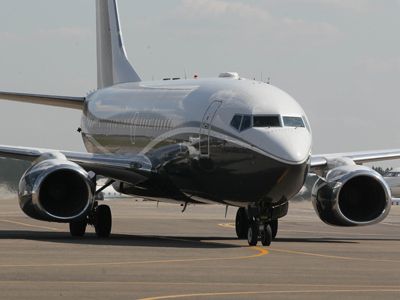 Further sales of the plane to the likes of the United States may hinge on reactions from France and Britain. "The French Airforce and the Royal Air Force have a great credibility all over the world so if they are really happy about it, their opinion will matter," Elliott said.